It’s now been over two years since I’ve been writing this blog. It’s been a time capsule of my life, and the more I do it, the more comfortable it becomes. As I sometimes do in this space, now’s a time to look back, and try to see what lies ahead, too. I passed 1,000 posts here back in July, which I didn’t think would happen at one point. I had visions of going off and trying to work on a book of some sort, and maybe that will in the cards one day, but writing little posts like these and putting them online has an immediacy that writing a book wouldn’t have. So I keep devoting time and energy to this, because it does scratch some sort of an itch for me. But I’ve also had writings appear in other places as well. I started writing a column at ThroughTheFenceBaseball, and I am very proud of the work I’ve done there over the past two seasons. The off-season hibernation will start soon, but I think there’s still a little bit more to say while the playoffs are going on. 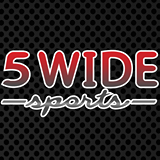 I also started writing for FiveWideSports over the past couple of weeks, and I’m happy with the first few pieces I’ve sent them. 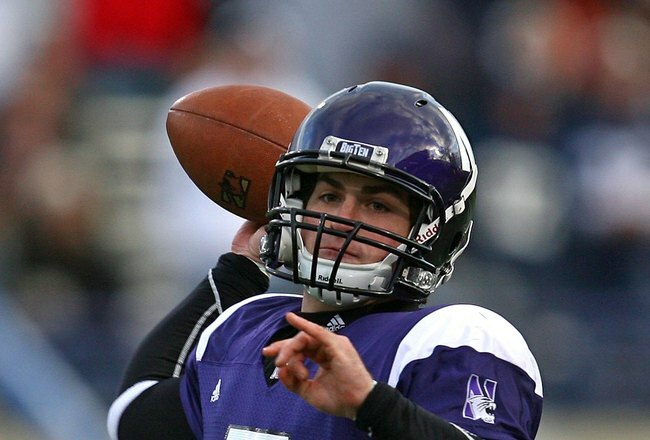 As the college football season rolls on, I’ll keep writing about my Northwestern Wildcats. It will be nice to talk about a winner for a change. I also had a piece appear on ChicagoSideSports, and saw my visions of a losing season on both sides of Chicago realized, in a way that I didn’t see coming. A run at the old record of 191 losses for both teams in a season would have been interesting, but breaking the record with 195 combined losses was more than I ever thought would happen. 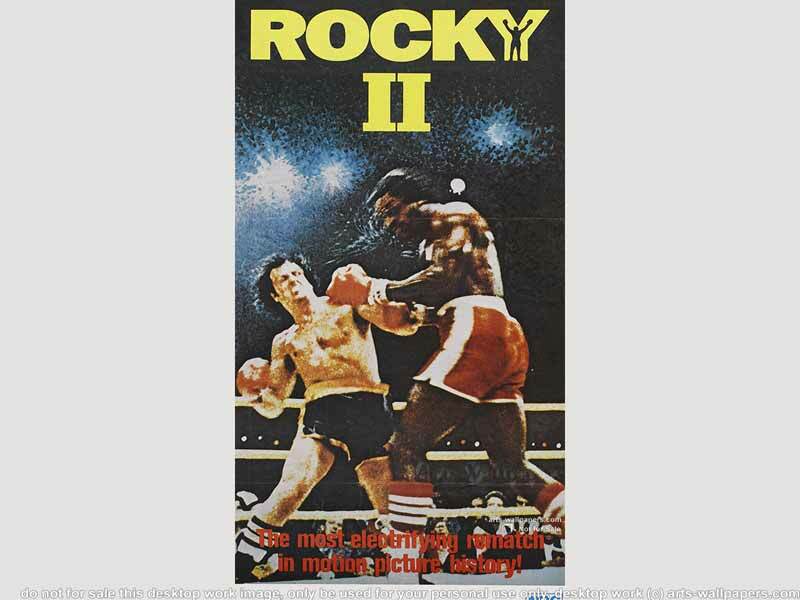 It was brutal. 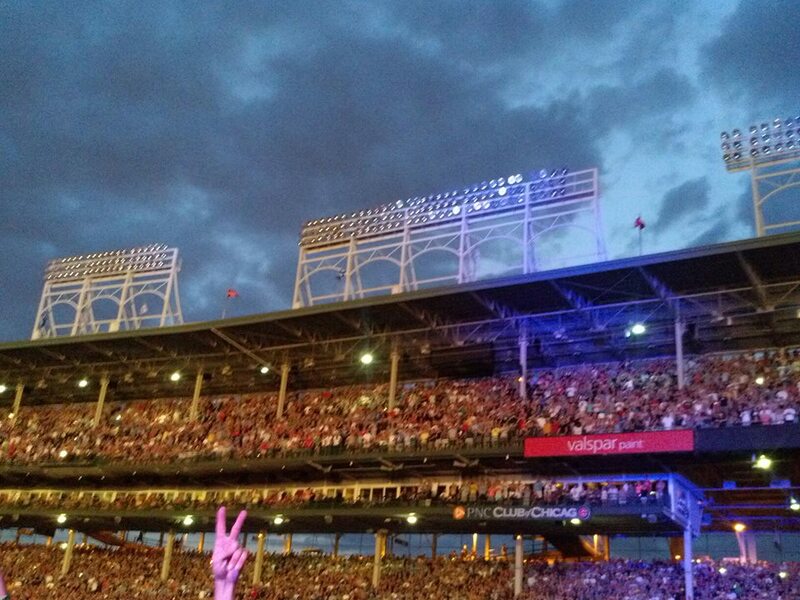 I also wrote about the Pearl Jam concert at Wrigley Field back in July, including my first-ever appearance in Zisk magazine, which I really like a lot. I’m glad that they agreed to run my report on the concert. I wrote lots of other pieces here, and I’m happy that I can take a small moment, or a trip to the ballpark, and put a few words about them here. And I plan to continue this into the future, as well. It’s too much fun to consider giving this up. The next report will be written during the bowl season, I hope. There will be lots of things to say between now and then, I’m sure. 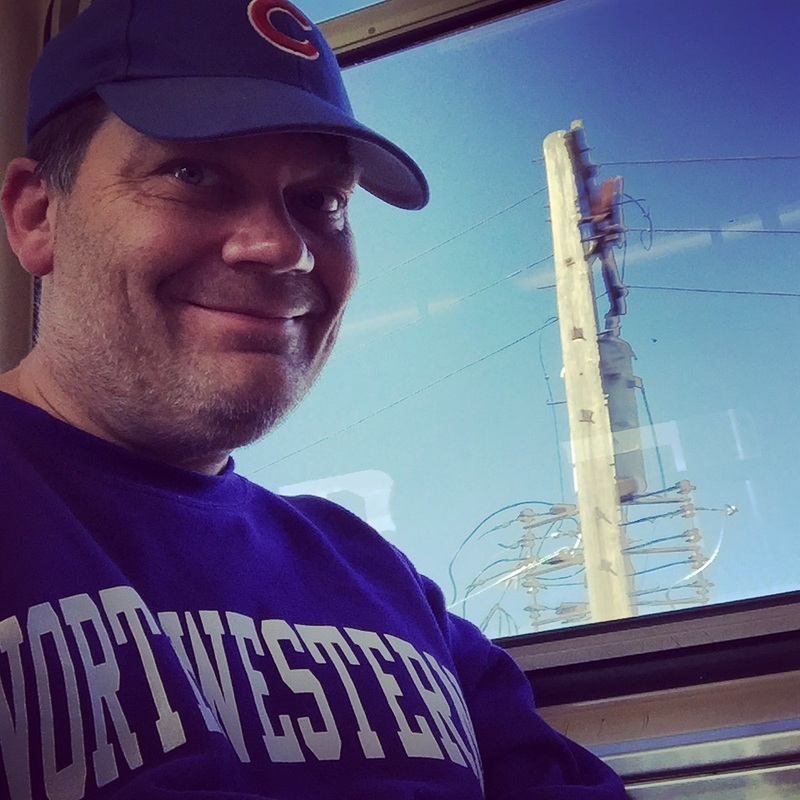 I’ve been a Cubs fan since the mid 1970s, and graduated from Northwestern at the dawn of the 1990s. I would go so far as to say that my interest in sports begins and ends with those two teams. So today’s announcement that Northwestern athletics will play some of their home games in football, baseball, lacrosse, and who knows what else in Wrigley Field during the coming few years is great news for me. 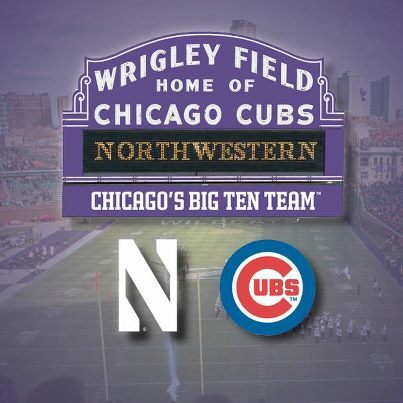 The Cubs and Northwestern are both breaking new ground here, with a partnership that hasn’t been tried by anyone else before. They’re each blazing a trail, and if it succeeds–make that when it succeeds–others will be looking to do the same thing. It’s an exciting time to have allegiances on both sides of this arrangement. May it lead to bigger and better things all the way around. It’s halftime in the Gator Bowl, and Northwestern’s in the lead 13-10. A pick six in the first minute of the game got things going, and three interceptions on defense were a big help. An offensive touchdown would have been nice, but holding the Bulldogs to a field goal inside the red zone is the difference in the game right now. But they clearly have the momentum, so I am fairly concerned. And I’m not a fan of the cowbells, at all. After the way NU gave away three games in the fourth quarter this year, the fun won’t start until the fourth quarter begins. Let’s hope that they learned something from those games, and they close it out this time. In the meantime, I’ll just pretend that Bon Jovi was singing about the Wildcats. Go Cats! It’s all over but the bowl game now. 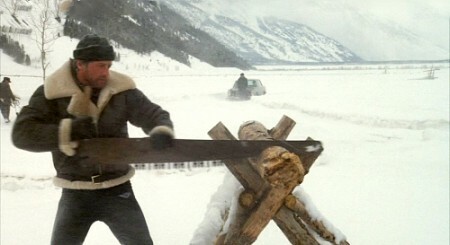 The college football season was exciting, but ultimately disappointing for me as an alumus of Northwestern University. Not one, not two, but three games got away from the Wildcats, and that’s why there’s no game to look forward to this weekend. That’s why this feels more like 1996–the year that I went to see the Citrus Bowl in Orlando on new year’s day–than like 1995, when a top five ranking was a possibility. I sometimes deal with disappointments by writing about them. 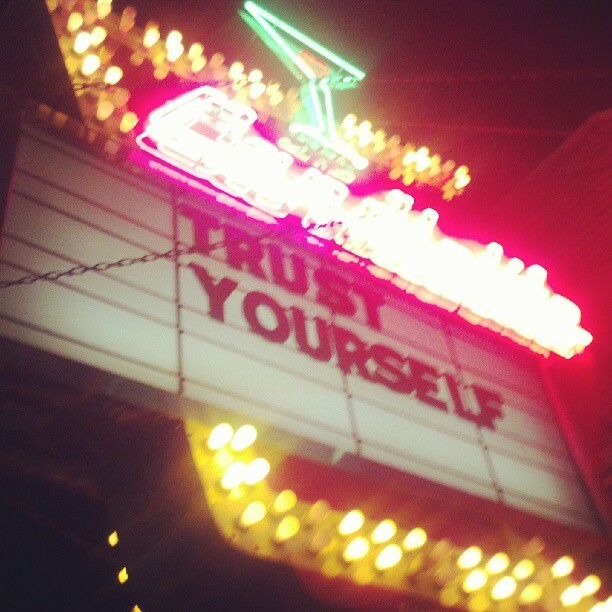 Here’s a link to the ChicagoSide piece. Enjoy it if you can. I like the artwork, though. I’m not much of a football fan, but baseball has finished up its season, and I don’t care much for basketball, so it looks like football will have to do. And when I say “football” I really mean college football, because the NFL isn’t too exciting for me, either. 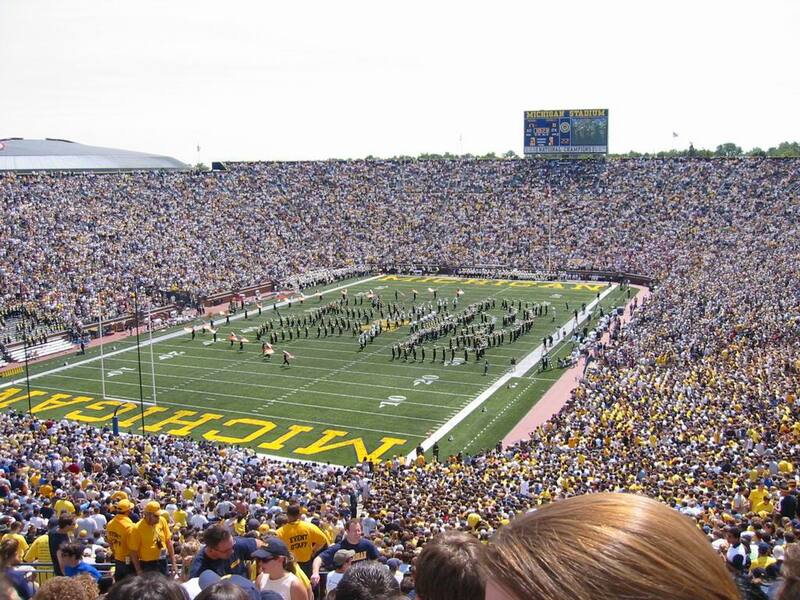 I’ve never been to a game in Michigan Stadium, which is known far and wide as “the Big House.” I have walked around it, once at night when I found myself in Ann Arbor on business a few years back. Seeing the Big House just seemed like the thing to do at the time. And it certainly does seem big from the outside. It would have to be, if 100,000 people and more can all squeeze their way in to watch a game. 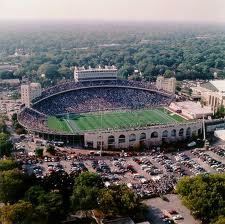 Northwestern is going to the big House tomorrow, hoping to chart a course for a 10-win season. 10 wins in the same season would be amazing, but it only happens with a win tomorrow. With an extra week to prepare for Michigan, I’m hoping that the Wildcats will have some new tricks up their sleeve when the game kicks of at 11 AM tomorrow. It should be a fun one to watch. There have been a couple of times where I have found a penny on the sidewalk, picked it up, and used the date on that penny as a jumping off point for a post in this space. And so it was today, as I was visiting Chicago’s DuSable Museum of African American History. I hadn’t been there in many years, since the group of high schoolers that I taught throughout their four years graduated in that facility back in 2000. It was a turning point in their lives, and in mine as well, since I had decided to leave teaching and go try something else. So it was a graduation ceremony for me, as well. Back in 2000, my older daughter was still a baby, and my younger daughter hadn’t yet been born. So going back to the DuSable Museum today with my wife and two daughters–none of whom had been there before–was a special experience for me. And as I was leaving, I saw a penny on the sidewalk. I picked it up, looked at the date, and saw a year that seems like another world ago. It’s probably fair to say that every year brings some change in a person’s life. I’m not sure which year I learned how to read (probably 1973 or so), but my world was never again the same after that. So to single out any year as a pivotal moment, above any other year before or after it, isn’t the best way to use this space. But, having said all of this, I feel like something did change back in 1995, the year that was stamped on the penny I found on the sidewalk. 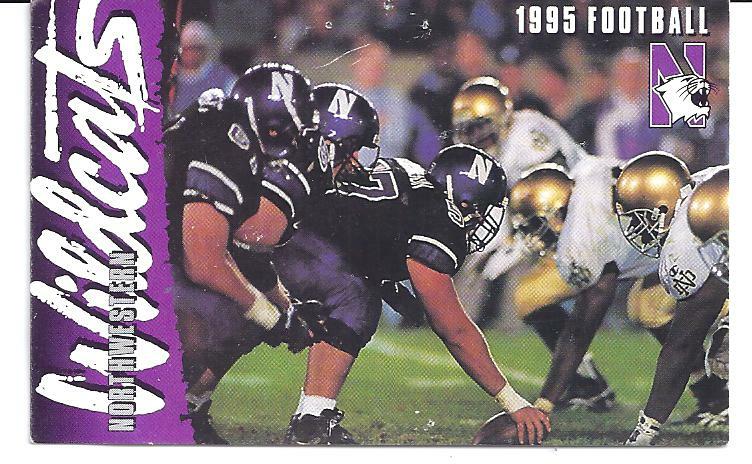 In that year, my long-suffering alma mater, Northwestern University, shocked the sporting world by going on a Rose Bowl run that’s still being talked about. The team started out the year by beating Notre Dame, and since the two schools haven’t played since, I still get to claim bragging rights on that front. But they lost the second game of the season, to Miami of Ohio, in stunning fashion, and it wasn’t until they beat Michigan in the “Big House” that the season really took flight. And I remember that game, and that weekend, well. A friend of mine and my wife’s from college was living in Atlanta at the time, and over the Columbus Day weekend, we flew down there to visit him. We watched the Michigan-Northwestern game on ESPN, and after the game was over we went to a Braves’ playoff game at the old Fulton County Stadium. I could look up the Braves’ opponent that night if it mattered, but just going to a baseball game in October was a new experience for me. 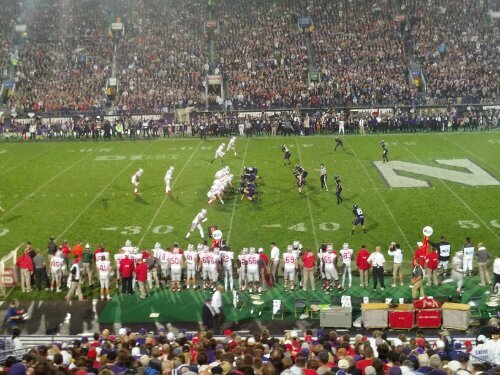 I wore my Northwestern hat to the game that night, and heard some complimentary things from people who had watched the game that afternoon. Michigan was the team that everybody not affiliated with the school loved to hate, and apparently that feeling extended to Atlanta, too. But a football game in the afternoon, and a playoff baseball game at night, made it a special sports day for me. 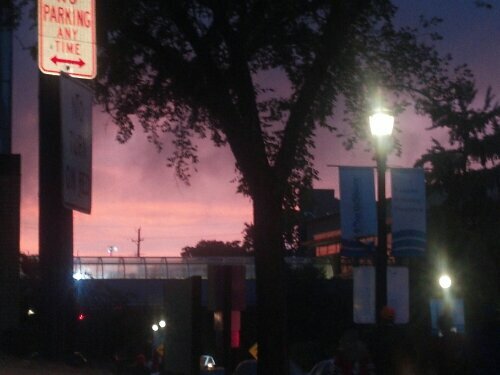 But what happened after the game was even more lasting. Our Atlanta friend took us to his office, where he showed us this new thing called America Online. I hadn’t seen it before, but it was fascinating, and I’m pretty sure that my wife and I signed up for it shortly afterward. We had dial-up at the time (who didn’t back in 1995? ), but being able to get on the computer and interact with others was a revolutionary thing back then. The cheesy AOL ad above was really what it was like for me, and probably for millions of others, as well. Almost seventeen years have gone by since then, and today I can’t remember how long it’s been since I had AOL. But it was my gateway into the online world, and for that reason I’ll always remember that trip to Atlanta back in 1995. I just returned from a one-day trip into the heart of Michigan country, Ann Arbor. I wore, as I often do, a purple Northwestern hat, but not with the intention of making any point about my school. It’s just a hat that I’ve been wearing for many years–decades, even–and am comfortable with. But I was representing the Wildcats, all the same. The Big Ten played its first football championship game tonight, and now it’s on to the bowl season. Michigan will be back in one, after an unusual hiatus for them and their fans, but Northwestern’s status is unclear at this time. They won six games, which makes them “bowl eligible” but doesn’t assure them anything. Northwestern is going to have to appeal to some bowl game that wants to sell tickets, rather than put a good game on the field. All of these games are about money more than they are about competition. Northwestern is a small, private school, and that means fewer students and alumni are available to buy tickets and travel to the game. A school like Michigan has a large student and alumni base, and so bowl games will fall all over themselves to bring Michigan to their party. Not so with Northwestern. 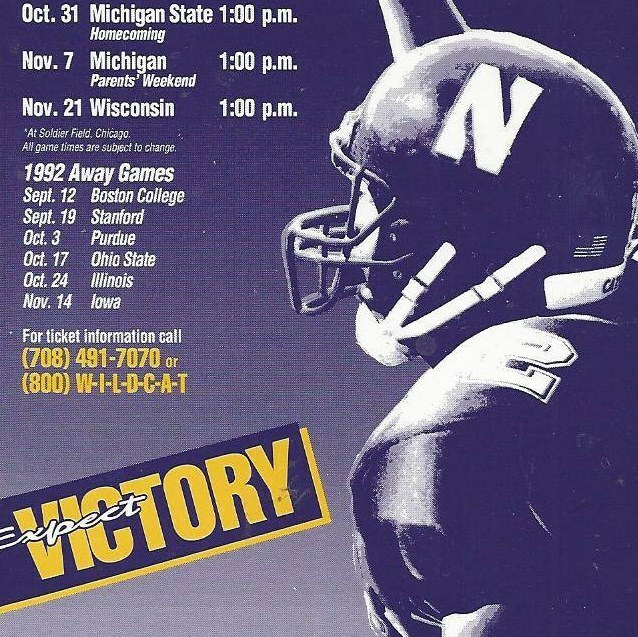 But on the other hand, Northwestern does have a pretty good record with selling their bowl allotment in years past. 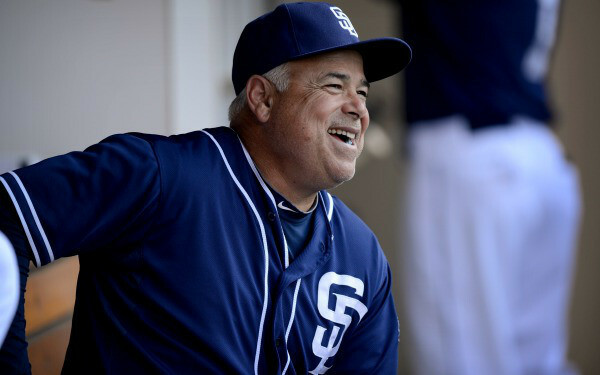 There are plenty of alums–myself included–who remember when we had to throw marshmallows at each other during the home games to keep our attention away from how awful the team on the field was. So playing in a bowl game is–and always will be–a validation of how much progress has been made since then. There’s a problem, though. NU (and it’s not NW, because Northwestern is all one word, and University is another word) has been to many bowl games (eight, to be exact) and lost them all. Their outgoing seniors have been to three bowl games, and haven’t won yet. They all want one more game, and if they get it, they sure won’t want to lose it. If they go, we’ll know where it is soon enough. 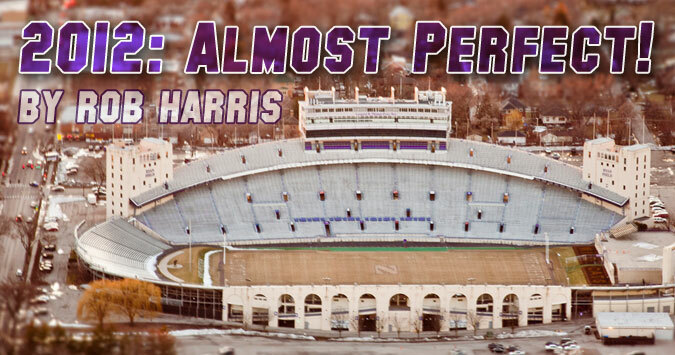 But there’s another Northwestern streak that’s coming into view again. The basketball team–which was just as dreadful as the football team was when I went there–has gotten better in recent years, but they haven’t yet received an invitation to the NCAA tournament. This is the de facto dividing line between the teams that had a successful season, and the teams who didn’t. And Northwestern has never been to the NCAA tournament before. Talk about a streak. When it comes time to hand out the tournament bids in March, it’s all about “quality wins.” Who have you beat? When have you proven yourself to be one of the best teams in the country? Playing in the Big Ten, there’s rarely a shortage of quality opponents to point to on the schedule. Beating Wisconsin, or beating Michigan State, or beating Illinois (my favorite type of victories) usually helps to build a tournament portfolio, as it should. But today’s game against Baylor is different. Baylor is unbeaten and ranked in the top ten of the weekly polls, but Northwestern hasn’t played them before. Beating a top ten opponent would be big all by itself. But doing it in December, before conference play even begins, would be even better. This is a game that wouldn’t have been played ten years ago, when Northwestern played a soft non-conference schedule to take the sting out of the walloping they routinely got in conference play. But as a result of their successes over the past few years, they play with some bigger teams now. And beating those bigger teams–as Northwestern can do later on today–is the way to get the quality wins that will bring this NCAA-less streak to an end.